Early last Friday Morning, Crystalbrook Collection admitted to withdrawing the development application for the recently announced Port Douglas marina expansion. This news comes just two months after Crystalbrook doubled the capital they were projected to spend on the luxury overhaul when they announced the $200 million application in January. While the application has now officially been withdrawn, a Crystalbrook spokesperson assured stakeholders of the projects future viability. “Crystalbrook Collection remains fully committed to the revitalisation and will work with key partners over the coming months to revisit the enhanced marina experience,” said the spokesperson. 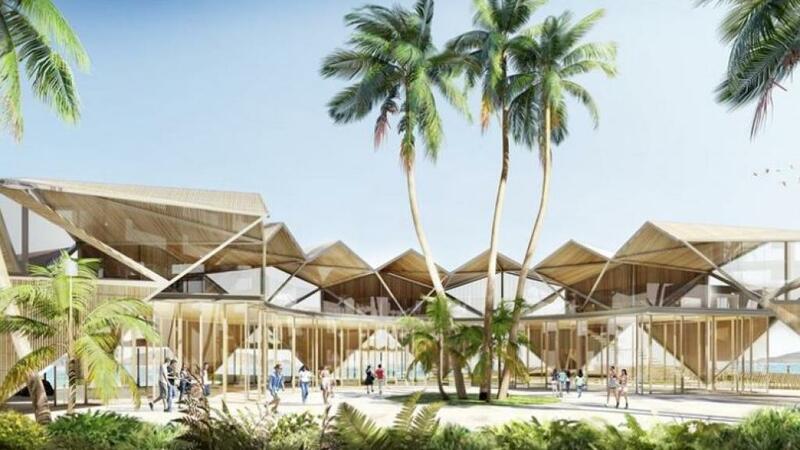 Earlier this year the Douglas Shire Council called for an information request from the developer, citing concerns over a number of features, the designs aesthetic aptness for the island town. Marina tenants such as the renowned Hemingway’s Brewery and Barbados, have experienced a sense of insecurity since Crystalbrook Collection purchased the marina from The Reef Marina late last year. Despite these fears, Crystalbrook spoke confidently of the marina’s near future. “We anticipate it will be business as usual for the next 18 months at the marina as feasibility studies are undertaken,” the spokesperson said. In January, the redevelopment was announced to transform the existing port precinct into a state-of-the-art facility featuring a five-star resort complete with 130 hotel rooms, 45 villas and 9 apartments. Melbourne-based architecture firm SJB were announced as the winning design contractors. With an international portfolio of boutique hotels and accommodation, Crystalbrook CEO Mark Davie felt that the Australian firm had the kind of experience required to complete such a complex project. “Considering the standard the property will be, it does require an international company with experience in building hotels globally,” he said. “It’s an international team but with a local flavour. Customers that stay at this level of hotel tend to be mostly Europeans and Americans. Wherever they travel, they expect that level of hotel and we need to make sure it reflects those standards,” said Davie.